The New York State Psychiatric Association was pleased to present the inaugural training session of the Veterans Mental Health – Primary Care Training Initiative (VMH-PCTI), a comprehensive program addressing veterans' mental health issues, at the Albany Medical Center, in Albany, New York, on Friday, November 14, 2014. The program was jointly hosted by the Capital District Branch of the American Psychiatric Association and the Albany Medical Center Department of Psychiatry. The presentation, which is the first in a series of programs and lectures to be held around the State, was attended by physicians and health care providers from across specialties, including primary care, internal medicine, surgery, emergency medicine, family medicine and psychiatry. 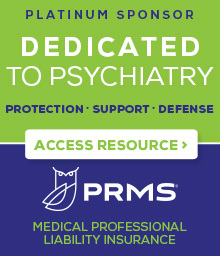 The VMH-PCTI is designed to provide primary care physicians and health care providers with insight and training to identify, treat or refer military veterans with combat-related mental health conditions, including post-traumatic stress disorder, traumatic brain injury, depression, substance use, as well as an understanding of military culture. The VMH-PCTI is supported by a grant provided by the New York State Legislature and administered through the State Office of Mental Health. Joining NYSPA for the kick-off of the VMH-PCTI were several local State legislators, including Assemblywoman Patricia Fahy (D-Albany), Assemblyman John McDonald (D-Cohoes), as well as staff from the offices of Assemblyman James Tedisco (R-Glenville) and Senator Kathleen Marchione (R-Halfmoon). Formatted as a “grand rounds,” the lecture was presented by Matthew Friedman, M.D., a Professor of Psychiatry and Pharmacology at the Geisel School of Medicine at Dartmouth College and prolific author or co-author of more than 250 publications. A nationally-renowned expert, Dr. Friedman served as the Executive Director of U. S. Department of Veterans Affairs National Center for PTSD for twenty four years, where he currently remains a Senior Advisor. NYSPA is planning additional training sessions throughout the State. Any psychiatrists who have an interest and/or experience in the issues of PTSD, TBI and psychiatric issues in the treatment of veterans and who may be interested in serving as a presenter should contact NYSPA Central Office (contact information below). Honoraria and expense reimbursement are available from grant funds. NYSPA is also seeking the assistance of Departments of Psychiatry throughout the state to reach out to their colleagues in family practice, emergency medicine and internal medicine to arrange for presentations in their hospitals or other venues. Grant funds are available to defray meeting costs. If you are interested in holding a training session at your hospital or in your local community or for more information about the Veterans Mental Health - Primary Care Training Initiative, please contact NYSPA Central Office at (516) 542-0077 or [email protected].